Are we there yet? by Alison Lester Figure 1. Are we there yet (Thomas, 2005). 1.1.1.1. ACELA1465 Text Structure and Organisation: Teacher will read and pinpoint the capital letters indicating a Place or Person. Students will complete a 'Word Wall' of Proper Nouns found in the text. (Reading Map of Development, 2013 pg. 182). 1.1.1.2. ACELA1469 Expressing and Developing Ideas: Students will complete the activity 'Connect to Text'. They will be expected to place a page together by noticing how illustrations connect to the text. (Reading Map of Development, 2013 pg. 192). 1.1.1.3. ACELA1825 Phonics and Word Knowledge: Teacher will use modelled reading and point out /ee/ sounds. Students will then complete a 'Sound Hunter' activity. They will search the text and find different letters that make the same sound. (Reading Map of Development, 2013 pg. 188). 1.1.2.1. ACELY1665 Texts in Context: Students have previously read 'Highway' by Nadia Wheatley. Teacher will read Are we there yet? by Alison Lester. Students will be expected to complete 'Same but Different'. This involves students to compare characters, settings and structure between the two texts. (Reading Map of Development, 2013 pg. 173). 1.1.2.2. ACELY1669 Interpreting, analysing and evaluating: Before reading, the teacher will explain the 'Reading Response Journal'. Here, students will tune in to their prior knowledge by predicting the story from the front cover. Students must predict the text and include any prior reading questions or opinions. Teacher then uses modelled reading and will focus on what the teacher sees in the text. Students are then required to go back to their Reading Response Journal to confirm predictions and any relevant questions and opinions about the text (Reading Map of Development, 2013 pg. 167). 1.1.3.1. ACELT1587 Literature and Context: Teacher uses modelled reading to focus on personal context in the text. In groups, students will complete 'Four Corners' by reading and exploring the text in relation to how characters are portrayed through text and illustrations. Students will discuss how this may differ from their families. (Reading Map of Development, 2013 pg. 170). 1.1.3.2. ACELT1589 Responding to Literature: Teacher will read the text through Shared reading, asking for students initial thoughts of certain characters. After, students will complete a 'Character Profile Study' by choosing three characters to compare in the text. Students will have to justify and defend their opinions against others (Reading Map of Development, 2013 pg. 174). 1.1.3.3. ACELT1591 Examining Literature: Students would have previously read 'Highway' by Nadia Wheatley. The teacher will then read this text. Students will use their prior knowledge to complete a 'Comparison Chart' of the differences and/or similarities between the characters, settings, events and point of view. (Reading Map of Development, 2013 pg. 176). 1.2.1.1. ACELA1462 Language for Interaction: Before reading, teacher expresses the focus on 'overused' words (more specifically 'said'). After teacher reads the text, students are expected to complete the 'Tired Words' activity, which is to complete a brainstorm of more exciting words that evoke appropriate emotions (Writing Map of Development, 2013 pg. 170). 1.2.1.2. ACELA1468 Expressing and Developing Ideas: Before the text, teacher chooses a suitable noun in relation to the text. After reading the text, students study the chosen noun. In groups, students will complete 'String Poems', adding adjectives to the noun. (Writing Map of Development, 2013 pg. 167). 1.2.1.3. ACELA1823 Phonics and Word Knowledge: Teacher will use shared reading to read the text, pinpointing letter sounds. After, students will complete the 'Sound Hunter' activity. Students will be given the text and will be expected to write words that have different sounds in them (e.g. 'ay', 'ai' or 'a'). (Writing Map of Development, 2013 pg. 169). 1.2.2.1. ACELY1671 Creating Texts: Teacher will focus on personal context. After reading the text, students will complete their own 'Retelling from the Heart' activity. Students will create a text that will include personal anecdotes. (Writing Map of Development, 2013 pg. 148). 1.2.2.2. ACELY1672 Creating Texts: After reading the text, students will complete the 'Controlled Cloze' activity. Students will be given an incomplete sentence from the text. This sentence will have punctuation removed. Students must use their prior knowledge to correctly complete the sentence. (Writing Map of Development, 2013 pg. 172). 1.2.2.3. ACELY1673 Creating Texts: After completing a reading of the text as a class, students will be given a passage from the text. They will be completing the 'Crazy Cloze' activity, which will indicate their vocabulary, hand writing and context. (Writing Map of Development, 2013 pg. 173). 1.2.3.1. ACELT1590 Responding to Literature: After reading texts by Alison Lester, students would have a suitable understanding of her writing style and characters. Using the text provided students will complete 'Contact an Author' activity. Students would draft their thoughts on the texts the authors create (Noting on characters, events and/or opinions). (Writing Map of Development, 2013 pg. 145). 1.2.3.2. ACELT1593 Creating Literature: Prior knowledge of characters portrayal in texts is focused in this lesson. Teacher will read the text to the students. After, students will have an opportunity to choose props and resources to explore one of the characters in the text. This activity, 'Characters Come Alive,' allows students to record how their chosen character would associate with the prop or resource provided. Students are encouraged to include dialogue of their character receiving the item and any supporting information. (Writing Map of Development, 2013 pg. 159). 1.2.3.3. ACELT1833 Experimentation and Adaptation: Teacher will read the text to the students. After, students will be given a page from the text, with the words removed. Students must complete their own understanding or alternative sentence to the illustrations. This activity, 'Getting the Message Across,' allows students to create their own interpretations of images. (Writing Map of Development, 2013 pg. 157). 1.3.1.1. ACELA1460 Language Variation and Change: After reading the text and exploring the different states. Students will complete 'Telephone Talk'. Students, in pairs, will be encouraged to choose two characters and display what their conversation would be like (e.g. grandma talking to Luke). (Speaking and Listening Map of Development, 2013 pg. 119). 1.3.1.2. ACELA1462 Language for Interaction: Teacher will bring up audio version of the text. Students will listen to the language and descriptions. Then, they will complete 'Listen to Learn' activity, which involves students to focus on the place names, and draw or write their immediate thoughts as they hear it. Students are then included in a group discussion where they express what they drew or wrote for each place they heard. (Speaking and Listening Map of Development, 2013 pg. 99). 1.3.1.3. ACELA1468 Expressing and Developing Ideas: After reading the text, teacher will introduce the activity 'Role Plays'. Students are encouraged to develop a role play with their group. Two students use the text to design a scenario. The other two students have to create dialogue for that particular scenario. Students MUST include and highlight the nouns throughout the dialogue. The groups design 6 scenarios each, making sure both partners get an equal chance to create a scenario. After completion, students are asked to act out the dialogue and nouns they found. (Speaking and Listening Map of Development, 2013 pg. 124). 1.3.2.1. ACELY1665 Texts in Context: Students take part in 'Comparison Activities'. Teacher reads this text for students. They have previously read 'Highway' by Nadia Wheatley. In groups, students will be given the two texts. One half of the group will explore characters and settings in one of the texts and the other half of the group will explore this in the other text. Students then discuss and share their findings. As a class, students share the differences and/or similarities they found. 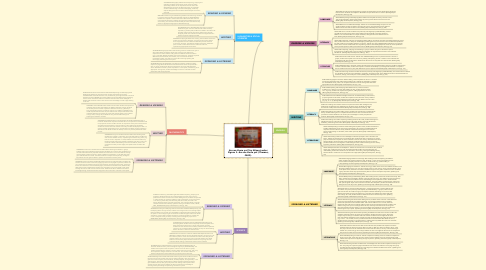 (Speaking and Listening Map of Development, 2013 pg. 119). 1.3.2.2. ACELY1789 Interacting with Others: After reading the text, students will be involved in a class discussion of the text (more specifically, characters and setting). To encourage interaction from all students, teacher will implement the 'Conversation Web'. This involves students to sit in a circle, where the teacher will have a ball of string and will hold the end of the string and throw the ball to a student. That student must give an opinion or thought about the text, then they must hold a bit of the string and then throw the ball to another person in the circle. Students will complete this until every student has had the opportunity to speak. (Speaking and Listening Map of Development, 2013 pg. 121). 1.3.2.3. ACELY1667 Interacting with Others: After expressing the different character within the text. Students will complete 'Personality Phones' by choosing one character. Students are given a phone, where they imagine they are having a conversation with that character. Students are encouraged to talk about fears, likes, dislikes and dreams to the imaginary character. Students MUST also make links with the book (e.g. to mum - I am worried, like how you were worried at the Great Australian Bite! What can I do?"). Students are then involved in a group discussion to indicate what they talked about with their 'character'. (Speaking and Listening Map of Development, 2013 pg. 110). 1.3.3.1. ACELT1587 Literature and Context: After the text has been read, students will complete a list of the characters within the text for the activity 'Who can I talk to? Who can I listen to? How do I do it?'. From this, they must show how the characters communicate with each other (I.e. do any of the characters get scared? if so, who do they go to for help?). Students are then encouraged to discuss how this compares to their personal context within their family. (Speaking and Listening Map of Development, 2013 pg. 109). 1.3.3.2. ACELT1589 Responding to Literature: Teacher completes the reading of the text. Students complete the activity 'Picture Talk', where they are given copies of a page. Students must look at the illustrations and indicate what they believe is happening through the picture. (Speaking and Listening Map of Development, 2013 pg. 117). 1.3.3.3. ACELT1593 Creating Literature: Students have a knowledge of the text and will complete the activity 'Act it Out'. They are given copies of a page and students must choose one illustration on the page. The group must discuss what could be happening in that image, then rehearse and deliver their scene. (Speaking and Listening Map of Development, 2013 pg. 108). 2.1.1. ACSIS037 Questioning and Predicting & ACELY1669 Interpreting, analysing and evaluating: Students were part of a shared reading of the text, with a focus on predictions in relation to environment. After reading the text, students are expected to create 4 follow-up questions regarding 'what could happen' to the environment in the text (e.g. When they were swimming and saw the fish, there was a man fishing. What will happen if he eats all the fish?). This involves students to critically view the illustrations and develop questions relating to the World. STOP, THINK, FEEL, SHARE (Reading Map of Development, 2013 pg. 168). 2.1.2. ACSIS040 Processing and Analysing Data and Information & ACELA1468 Expressing and Developing Ideas: Through the text, students must recognise the nouns (through capital letters). Students must use their prior knowledge to categorise what words are the place, the person or are the beginning of the sentence. Students recognise and sort the words accordingly, using a table to classify information. This allows students to organise the nouns in a way that is easy for them, increasing their knowledge of proper nouns. WORD WALL (Reading Map of Development, 2013 pg. 182). 2.2.1. ACSSU032 Earth and Space Sciences & ACELA1470 Expressing and developing ideas: Students will critically study the text and gather what Earth resources the family saw (i.e. sand, water, flowers, animals). Students will write examine how the family interacted with that particular resources. This increases students vocabulary as they are demonstrating Earth's resources in relation to Science terms. 2.2.2. ACSHE035 Use and Influence of Science & ACELT1833 Experimentation and Adaptation: Students explore how the characters respond to living things in the text. Take the position of one of the characters and write a short story of that character reacting to a living thing on their trip around Australia. This allows students to think of how people interact and care for living things as it also involves students creating an alternative situation for the character. 2.3.1. ACSHE034 Nature and Development of Science & ACELT1589 Responding to Literature: Students have a prior knowledge of 'Highway' by Nadia Wheatley. The students will complete a text comparison of events in the two texts. In groups, students will describe the changes in scenery and/or events of one text. Then, they will compare the changes of events in the other text. This involves students to observe changes within texts and discuss by comparing with similar texts. 2.3.2. ACSSU030 Biological Sciences & ACELY1789 Interacting with Others: Students examine the text and notice the animals within the text. More specifically, each group will be given one animal to explore, the whale & calf, the baby elephant, the 'tiger family' or the 'little penguins'. Each group will discuss the qualities of these animals and how they grow. After discussions, each group will present their findings and compare and/or contrast with the other groups. Students are able to enhance their knowledge of animals growth by discussing and presenting information to peers. 3.1.1. ACMNA030 Number and Place Value & ACELA1469 Expressing and Developing ideas: Students are asked to go through the book, finding and calculating how many ILLUSTRATIONS of animals there are. Then, students will go through the book to find and calculate how many WORDS are animals. Students will find the difference by subtracting the two results. This allows students to used their mental and/or written strategies of addition and subtraction whilst it also enhances their knowledge of visual images relating to the text. 3.1.2. ACMSP047 Chance & ACELT1587 Literature and Context: Students will explore the characters and how they responded to the different Australian cultures. Students will ask their partners a series of questions related to the text (e.g. Would you enjoy eat witchetty grubs?). The partner must say if it is LIKELY or UNLIKELY they would complete the task. From this, the students must compare themselves to the characters related to the question (e.g. Ruth eats witchetty grubs so she is LIKELY to enjoy them). Through this, students are using chance whilst relating and exploring the characters' contexts. 3.2.1. ACMSP049 Data Representation and Interpretation & ACCELT1590 Responding to Literature: Students will complete a class discussion of an exploration of characters and the purpose of the text. Students are then to complete an activity that involves them to write their favourite character in the text and why. Then students will ask 8 other students of who their favourite character is and why. Students will display this data in a way that is easily recognisible to them. This advances a students concept of gathering data whilst it also allows students to develop a reason for personal preferences within the text. 3.2.2. ACMMG040 Using Units of Measurement & ACELY1673 Creating Texts: Students are involved in a discussion of months and seasons. Students will write out the calendar months, representing the seasons using colour (e.g. blue for winter to represent it is cold). Students must estimate when they believe the family left for their holiday and add this into their months. This enhances students understanding of months and seasons, whilst it also increases their ability to write legibly with capital letters and lower case letters. 3.3.1. ACMMG044 Location and Transformation & ACELY1667 Interacting with Others: In groups, students will be given a State the family explored. Students are to use the map provided to find the state and 3 features they explored. Students find information on the iconic features through the book (page numbers are given to them) and deliver a presentation on the State they were given and the features to them. This allows students to interpret the simple maps, finding the key features as it also gives students to present the infromation found to peers. 3.3.2. ACMNA033 Fractions and Decimals & ACELA1463 Text Structure and Organisation: Students will examine the text structure of this text by applying fractions to the pages. In partners, students will count the amount of illustrations and count the text blocks. A series of questions like, 'what is the fraction of illustrations on the first Kakadu page?' (3 illustrations and 3 text blocks, therefore 3/6). After partners have completed their answers, they will present one of their pages to their peers, showing their fraction and how that was their result. Students are able to advance their fraction knowledge through visual features while they present the construction of the text to their peers. 4.1.1. ACHASSK049 Geography & ACELY1670 Interpreting, analysing and evaluating: Students will study the culture of the text. More specifically, students are to comprehend how the author has described Uluru and link it to Aboriginal history. This expands students understanding of context and langauge, whilst they explore Aboriginal and Torres Strait Islander Peoples connection with land. 4.1.2. WAHASS15 Questioning and Researching & ACELT1591 Examining Literature: In previous lessons students have explored 'Highway' by Nadia Wheatley. Students are required to examine both texts. Within both texts there are environmental information. Students are required to find describing words of the setting. This enhanches students ability to locate information as they search for appropriate language that describes settings. 4.2.1. ACHASSKO44 History & ACELA1462 Language for Interaction: Students are given one iconic feature from a state the family explored (e.g. Monkey Mia). Students are asked to write down the language used to explain the location and/or history through listing key words. This indicates to students the significance of a place through the language included. 4.2.2. WAHASS19 Analysing & ACELY1671 Creating Texts: Students choose one location through the text. Students, using the text as a guide, create a short imaginative text that indicates an alternative point of view from an animal on the page. This advances students recognition of different point of views as it also allows them to create their own text, implementing appropriate text structure. 4.3.1. ACHASSK048 Geography & ACELT1593 Creating Literature: Students are given a state and students are asked to discuss with a partner of the places they explored in that state. Students orally present the different scales of locations (e.g. 'In the State, Western Australia, Perth is the Capital City. The family explored Wave Rock, Rottnest Island, the Pinnacles, etc). This enhances students knowledge of states, cities and towns whilst also enhancing speaking and listening by performing the text to peers. 4.3.2. ACHASSK045 History & ACELA1461 Language for Interaction: Students critically explore the page about Kakuda. Rock art and Dreamtime stories are explored as a class. In groups, students will discuss the significance of rock art and Dreamtime stories. Students will create a poster and present it to their peers, remembering to be appropriate. Through this, students knowledge of culture is enhanced and their presentation skills are appropriate.